A once-in-a-decade event will happen in 2020 in Germany. The historic Oberammergau Passion Play will be held during the summer months in an open-air stage in Oberammergau, Germany. To celebrate this event, Crystal Cruises will be offering 14 Passion Play packages between May and October of 2020, which include one night in Munich, two nights in Oberammergau, and a 7-night Crystal River Cruise. 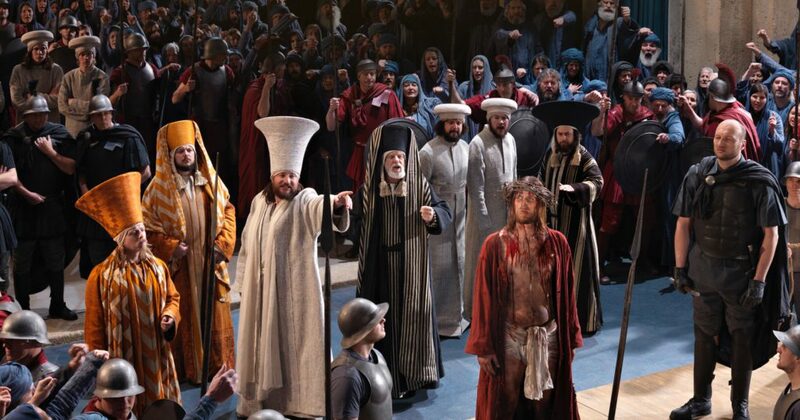 Since the first performance of the Passion Play in 1634, residents of Oberammergau have presented the Passion Play, a performance depicting the final stage of Jesus’ life, once every decade for a period of weeks during the summer. The 42nd production of the play will occur in 2020, which traditionally takes place on an open-air stage against a backdrop of stunning Bavarian scenery and featuring world-renowned music and costumes. The play is five hours long and is conducted in German, with guests given English language guide books to follow along. After the first half of the play there is a 3-hour dinner intermission coordinated by the Oberammergau organization. Crystal River Cruises will be offering 14 Passion Play packages between May and October of 2020. The 10-night Passion Play package includes one night in Munich and two nights in Oberammergau, followed by a 7-night river cruise, sailing on the Crystal Mahler, Crystal Ravel, or Crystal Debussy. There are two itineraries to choose from: Legendary Rhine, which sails from Basel, Switzerland to Amsterdam and Delightful Danube, which sails from Regensburg, Germany to Budapest. Each voyage begins with a 3-night pre-cruise Passion Play package. If you are a Crystal Society member, you can join the priority waitlist from July 10 through July 19. If you aren’t a member, you can join the priority waitlist beginning July 23. The pre-sale deposit is $1,000 per person for Crystal Society and the general public. Between August 1 and August 7, we will send confirmations to waitlisted guests who have been cleared. At that time, pricing will be provided and you will have 7 days to provide a non-refundable deposit of 50% of the package fare. If you decide not to go forward with the package, your $1,000 pre-sale deposit will be refunded. If you are interested in sailing on a Crystal river cruise and attending the historic Passion Play in 2020, please contact us. We expect reservations to go very quickly. Crystal River Cruises, Oberammergau Passion Play. Bookmark.